The Highlands Ability Battery (HAB) is a standardized assessment in aptitude testing developed under a rigorous process to ensure accurate results. First administered by The Highlands Company in 1992, the HAB was founded on the work of research scientist Johnson O’Connor, who devoted his life to the study of human engineering. 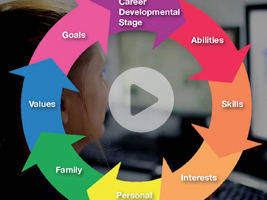 A century of research that began with Johnson O’Connor and continues through the Johnson O’Connor Research Foundation has established that every individual is born with a pattern of abilities unique to him or her and that those abilities remain fairly stable after the age of fourteen. As part of The Highlands Company’s ongoing effort to ensure that the Highlands Ability Battery (HAB) meets professional standards of excellence, especially as it pertains to reliability and validity, we have provided the following research. Stiles, Dori, Ph.D., “Natural Abilities and Careers: Architects and Engineers.” 2019. Neiner, Andrew G., Ph.D., “Technical Report: Reliability study looking at internal consistency and test-retest.” 2013. Ratts, Manivong, McCullough, Julia R. “The Highlands Ability Battery, A Counselor’s Guide to Career Assessment Instruments.” National Career Development Association, 2013. Brown, Corrie C., Harvey, Stephen B., Stiles, Dori Ph.D., “Using a Natural Abilities Battery for Academic and Career Guidance: a Ten-Year Study.” Journal of Veterinary Medical Education, 2011. Ratts, Manivong, “The Highlands Ability Battery, A Counselor’s Guide to Career Assessment Instruments.” National Career Development Association, 2009. Tavantzis, Dr. Thomas N., “A Report on the Organization, Function, Reliability and Validity of The Highlands Ability Battery.” 2007. Emanuel, Lazar, “A History of The Highlands Ability Battery.” 2007. The Chauncey Group (ETS), “A Report on the Statistical Characteristics of the Highlands Ability Battery.” 2002. Holland, C.L., Ph.D., Summary of Completed Research. 1994. McDonald, Robert D., Ph.D., The Highlands Ability Battery Technical Manual General Summary. 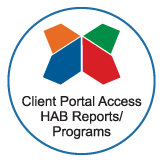 For information on the many applications and best use of the Highlands Ability Battery (HAB) to benefit students, adults, leaders, organizations and career professionals, visit the Highlands Blog.